Enjoy your game days with some new Majestic gear with this St. Louis Cardinals Authentic Team Drive T-shirt! It's made with a soft cotton fabric and has a V-neck collar that make the team graphics even more noticeable. Display your pride with this fan gear showpiece that displays the classic logo of the Birds of Busch Stadium! 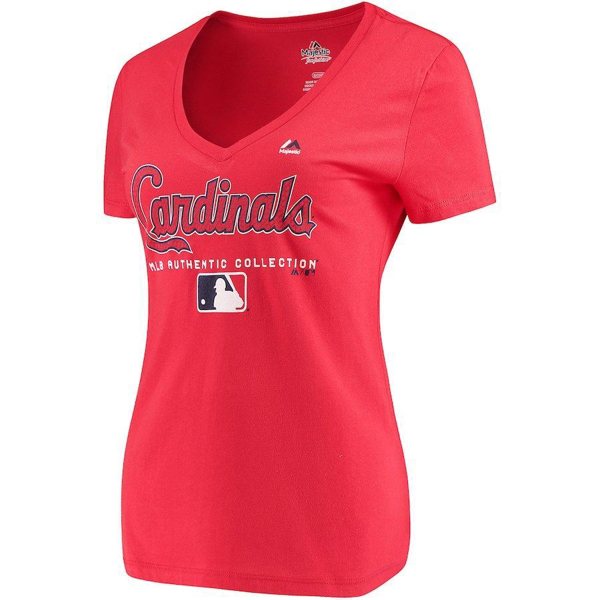 Get ready for the season with this St. Louis Cardinals Superior Play T-shirt from Majestic! It features printed St. Louis Cardinals graphics and authentic team colors that'll let everyone know where your fandom lies!